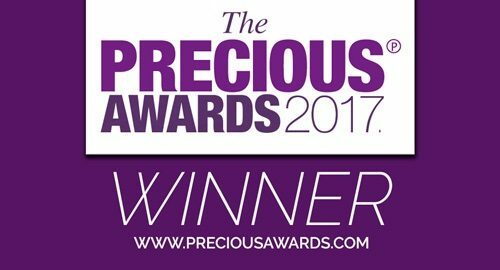 We are pleased to announce that DiVA was awarded SME Business of the Year, and their very own Arit Eminue was crowned Entrepreneur of the Year at the Precious Awards 2017, which were held at a lavish ceremony in the iconic Waldorf Hotel in central London. The double award win follows what has been a momentous year so far for DiVA with the continued expansion of their apprenticeship provision, the launch of their Apprenticeship Levy Management Service and new strategic partnerships across the TV and Music sectors. Founder & Director, Arit Eminue, said: we were thrilled to win SME Business of the Year, which recognises all the hard work, dedication, and passion put in by the team at DiVA. I was personally overwhelmed to later win Entrepreneur of the Year. Sponsored by Santander, the Precious Awards celebrate the best of British, recognising exceptional determination, innovation, entrepreneurial skills and talent across multiple categories. SME Business of the Year is awarded to a business that has met and overcome challenges, has a clear understanding of the market they operate in and have the foundations in place for continued success and expansion. Entrepreneur of the Year is awarded to an enterprising individual who has achieved sustained levels of growth through a culture of innovation, resilience and an ethos of inspiring others through their leadership style. For information on how DiVA can support your business to grow through apprenticeships, contact Arit and her team on 0203 189 1784.